Elsewhere in the article mentioned in the previous post,Paul LaRoque, whose nickname was Barrel, discussed the greatest disappointment in his athletic career, the 1906 Carlisle-Vanderbilt game. This game received no mention in the Indian School press or in Steckbeck’s book, possibly because it was added while the team was on a road trip and the Indians played Minnesota five days earlier and Cincinnati two days later, winning both games handily. He scored two touchdowns against the Commodores but both were called back. Referee for the game was Michigan’s Fielding Yost and he apparently didn’t like the guard-around play that Carlisle ran so successfully. He ruled it illegal even though it was run routinely in the east that year. A century later, high schools occasionally run the guard-around against aggressive defenses. 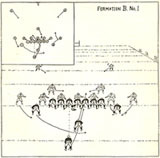 Rather than snap the ball to the quarterback or tailback, the center leaves the ball between his feet as he charges forward. One of the guards pulls back from his position, picks up the ball and runs around the end for a long gain. Unfortunately, Fielding Yost wasn’t the only obstacle the Indians had to overcome. “We were bitter about that defeat….We had reservations at the biggest hotel in Nashville, but, when we arrived they told us there weren’t enough rooms available and sent us to a small hotel. All the boys on the squad and the team doctor got sick after our evening meal on the eve of the game. We spent most of the night running to the bathroom. We all felt that Vandy was going to win that game one way or another.” The reporter observed that LaRoque was still unable to smile about the experience. While looking for information concerning Chauncey Archiquette’s time at Haskell, I came across a newspaper article unrelated to him (I think) that seemed curious. The fact that this reporter seemed to have no qualms about making statements that Indians were lazy, implies that it was a common belief and was not a controversial position at that time. If it is accurate that the 40 Haskell students were football and baseball players, it is likely that several of them also attended Carlisle Indian School at some time. If they were good players, they probably made it a point to go east. Guyon told Detective Emrich that he hadn’t seen Bertha since August when she wrote him to ask for his autograph. “He became acquainted with her in a casual way while travelling with the team last year, and her sixteen years were greatly impressed with his manly charms. ‘But I don’t want to be mixed up in any trouble,’ said Guyan. ‘I know these young girls, and if she comes here I’ll point her out to you. I don’t want trouble.’” When she appeared at the Metropole Hotel and asked for him, Guyon telephoned the detective who rushed to the hotel and arrested her. Bertha told a different story, “No, I wasn’t stuck on the Indian. I only came to Denver to see the game and visit my friend, Mrs. Eisenhart of 1011 Thirteenth Street.” She claimed that it was always her intention to return home after the game. Mrs. Eisenhart said that she had no previous acquaintance with Miss Hodkinson, that the girl merely rented a room in her house while she was in town. The girl said that she was 18 years old and free to travel if she wishes. She had also bought a round-trip ticket. Last time, I mentioned a guy named Joe LittleTwig. It just so happens that Wini Caudell has a website dedicated to him. You see, if things had turned out differently, he might have been Wini’s grandfather. But they didn’t. Joe is believed to be Mohawk born on or near the Cattaraugus Reservation in New York State. After attending school on the reservation, he enrolled at Carlisle Indian School. So far, I haven’t been able to locate any record of him at Carlisle, but this isn’t all that unusual. Sometimes, different names were used. School employees often spelled named creatively, something that makes searching difficult. There’s a good chance that LittleTwig was young and not fully developed physically, a factor that would likely have kept him from making the varsity team. It’s almost impossible to identify players on any of the other teams at the school. After leaving Carlisle, he served in WWI, but I have no details on that yet. 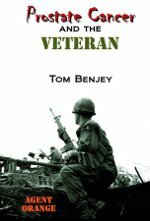 After the war, he turned his hand to professional football and had more success than most. Researching his pro football career may be easier than researching his earlier life because some records-and a book-exist about the Oorang Indians and newspapers covered the early NFL games to some extent. Because he settled in Canton, either the local historical society or the Pro Football Hall of Fame, which is located there, may have information on his life after football. While researching Carlisle Indian School alums who played in the NFL, I came across an unexpected name—Frank Lonestar. Everyone is well aware that Lone Star Dietz coached the Redskins in 1933 and 1934 but I bet few know that Frank Lonestar played for the Columbus Panhandles in 1920, the league’s inaugural year. A website stated that he played three games at guard for the Panhandles that year. So far, I’ve found newspaper coverage for one game with his name in the lineup. That one was a losing effort against the Detroit Heralds. 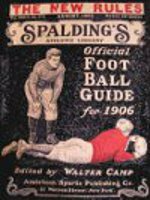 I was well aware that Frank, a Chippewa from Wisconsin, was much involved in extracurricular activities such as the Invincible Debating Society and was an officer in his class (the same one as Gus Welch), but had no idea that he was a football player of note. He probably played for his shop team, the Printers, but many boys did that. I was unaware of him being on the varsity squad and doubt that he was. He apparently left Carlisle around 1911 to practice his trade after getting useful experience printing school publications. But that’s about all I know about him. Also on the 1920 Columbus Panhandles, at least for awhile, was Littleboy, or someone with a similar name. The October 17, 1920 Fort Wayne Journal-Gazette included a photo of four stars the local team, the Friars, would be facing when taking on the Columbus Panhandles later that day. Included in the photo and expected lineup was someone named Littleboy. A little research should determine if this person was Carlisle’s Little Boy. This Littleboy played left halfback in the Columbus-Detroit game mentioned previously. I’m also learning about another Carlisle student who played in the NFL but doesn’t appear to have starred on the legendary Indian teams. Joe “Little Twig” Johnson began his NFL career with the 1922 Oorang Indians, but, unlike the majority of his teammates, had a significant pro career after Oorang’s demise. It appears that the Carlisle Indians were more involved in the early NFL than I thought. Not all Carlisle Indian School Students were Indians, but you knew that from the previous posts about Iva Miller. Iva may have had a few drops of Indian blood but not enough to qualify her as an Indian for purposes of the school or a tribe. However, she wasn’t the first non-Indian to attend the school. Much has been written about Sylvester Long who enrolled at the school as a half-blood Cherokee. His later claim of being the son of a Blackfoot chief led to the discovery that, although he had considerable Indian blood on both sides of his family, he was considered to be black at the time because of his African-American blood in the segregated south. 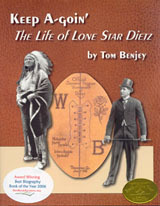 The controversy over whether Lone Star Dietz had Indian blood or not is well known and will continue unless definitive evidence is found. Recently, I discovered another Carlisle student was not an Indian and Superintendent Pratt knew it. In one of Richard Henry Pratt’s pieces about the early days of the school, he wrote about a white woman and her son who had been captured by the Sioux. 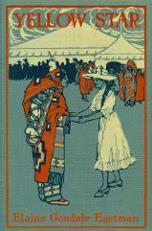 While a captive, she married a Sioux man and had children with him. She later had the choice to return to her original community but chose to stay with the Sioux and considered herself Sioux. However, when Pratt came around recruiting students for his new school, she decided to send her white son to be educated by his own people. At Carlisle, he was given or chose the name Stephen. 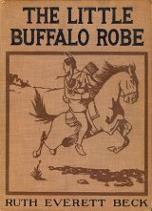 This was a case of a white boy with no Sioux blood who the tribe considered to be one of its own. Pratt didn’t say what he did after leaving Carlisle. It would be interesting to know which path he took. Major Mercer gave the bride away and the ceremony continued. At the end of the brief ceremony, “the orchestra again broke forth with the wedding march and the party proceded down the aisle under a canopy of crossed cavalry guidons.” After leaving the auditorium, the bridal party walked the short distance to the gymnasium that had been “elaborately decorated for the occasion,” along with a large number of specially invited guests. Major and Mrs. Mercer presented the guests to the newly wedded couple. Wedding gifts filled several tables that had been positioned specifically for the purpose. No mention was made of the food served, the music that was played, or the rituals that were observed during the reception. It’s fair to assume that the chicken dance wasn’t one of them. When the newlyweds departed to catch the ten o’clock train for Washington, they were showered with rice and old shoes. After their honeymoon, they returned to work at the school. He played football on the varsity team the following fall. Although simple when compared to many contemporary weddings, this celebration was surely much more elaborate than those of all but the wealthiest girls at that time.